About SHUT-EYE | American Animal Health, Inc.
SHUT-EYE Patches for Pinkeye Cattle Disease are glued on over the eye to protect the eye and the medication. It will fall off in about 10 days and is biodegradable. 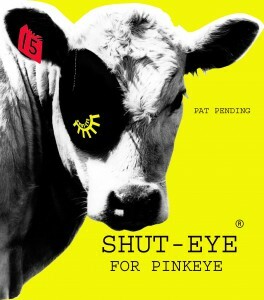 SHUT-EYE Patches for Pinkeye Cattle Disease boxes contain 10 patches and 1 tube of glue.